Union Creek Trail, William O. Douglas Wilderness Area, WA, 7/2014. Related to both Woolly Pussytoes and Pearly Everlasting (some call it “Rosy Everlasting”), this composite family member is found in sunny, rocky areas at higher elevations throughout much of the western U.S. We learn from Wildflowers of the Western Cascades (Robert Ross & Henrietta Chambers) that the plant is unusual for its family in that the flowers are “unisexual”, that is, some are male and others female. We believe the one’s pictured above to be female. 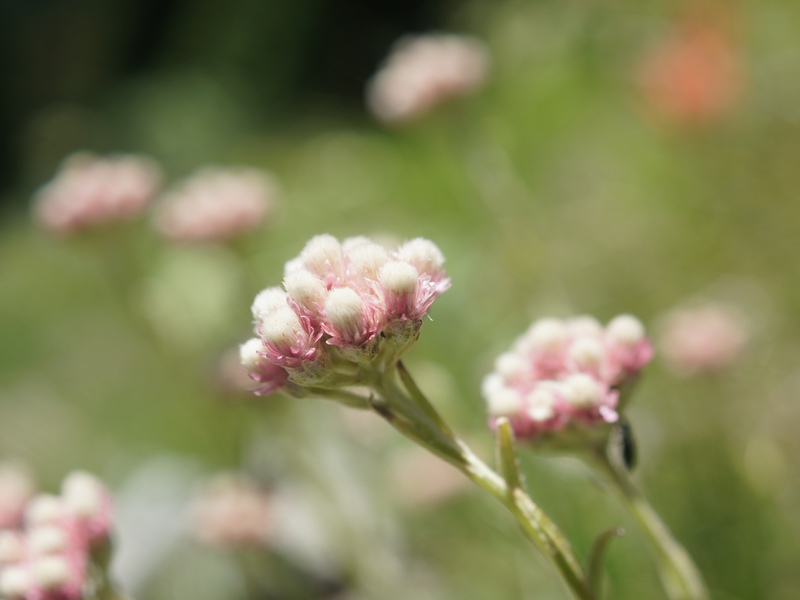 This entry was posted on August 8, 2014 by nwwildflowers. It was filed under All Northwest, Alpine, alpine/subalpine meadow, aster/composite, dry open woods, July, Mid Elevation, pink, rocky slopes, Washington and was tagged with flower, Wildflowers.